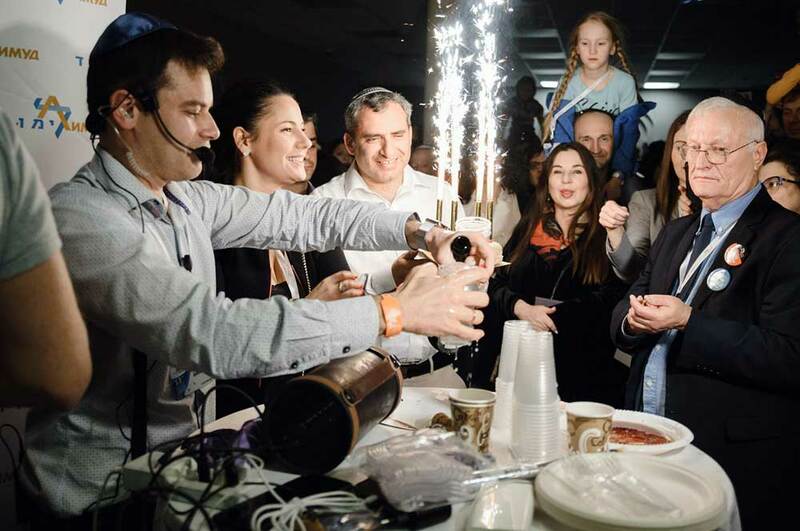 A record number of 2,150 Jewish participants took part in the biggest Jewish event in Moscow during the past weekend. The program of the flagship annual festival included more than 250 sessions on wide range of topics, with a great selection of activities each hour, for 2 different age groups. In total, the conference included more than 350 different lectures, sessions, panels and performances, and also a special children program, that was structured as Limmud with many options and run by the volunteers-teenagers–an innovative approach. Keynote speakers at the conference included Russia’s chief rabbi, Berel Lazar, Israel’s Minister of Jerusalem Affairs and Minister of Environmental Protection Zeev Elkin, Limmud FSU President Aaron G. Frenkel, Israeli Ambassador to Russia Gary Koren, President and CEO of Genesis Philanthropy Group Ilia Salita, Regional director of "Nativ" in Russia and Belarus Yana Agmon, Philanthropist Harold Grinspoon, lawyer Mikhail Barschevsky, author Lyudmila Ulitskaya ,Vice President of the Euro-Asian Jewish Congress Moshe Shvets , Director of the Russian-speaking programs of the Steinsaltz Center Lia Shvets , curator of the exhibit Uri Gershovich ,coacher and psychologist Nesia Ferdman and more. One of the highlights of the event was the inauguration of a new exhibition based on the life’s work and heritage of the noted Rabbi Adin Steinsaltz. Rabbi Steinsaltz was one of the first spiritual leaders of Limmud FSU and took part in its inaugural event in Moscow in 2006. The exhibit was produced especially for the event by Limmud FSU and the Steinsaltz Center in Jerusalem. At the festive opening, a round-table discussion took place on the philosophy and heritage of the rabbi with the participation of distinguished guests from Israel and elsewhere. Havdala ceremony and Minister Elkin's birthday, credit - Nikolay Yakubovskiy. 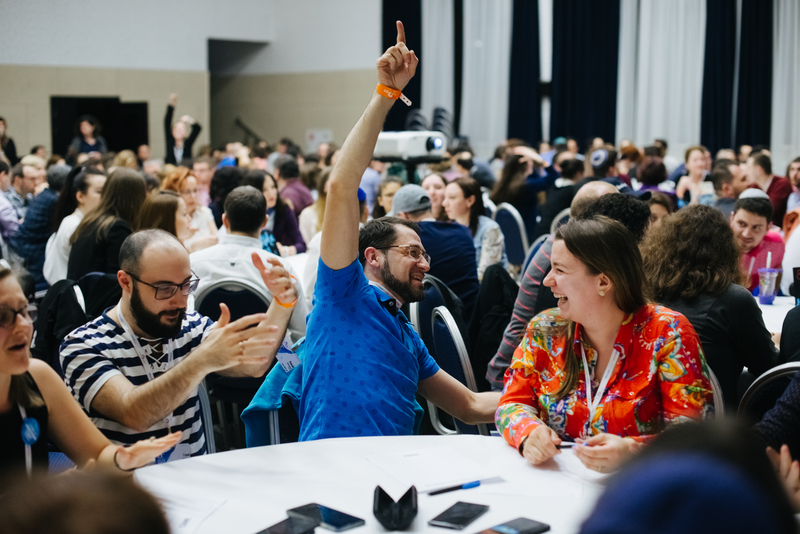 Regional director of "Nativ" in Russia and Belarus, Yana Agmon: “The preservation of an Independent Jewish identity is the shared motive of Nativ and Limmud FSU. We don’t presume to impose from above but study together as to how to strengthen the Jewish ethical core that binds our people together. We are even more delighted that we were partners in preparing the Israel content for the Moscow Limmud FSU festival.